This year’s Healing for Horses put the treat back in retreat. With nice weather, a fool moon, good people and, of course, amazing horses. The whole week has literally been a dream come true for me. The deep learning and connection with and from the horses and Anna is life affirming and changing Waking up to a beautiful sunrise and going to sleep by the light of the full moon is a wonderful memory. I am very grateful for the fun and holistic learning. 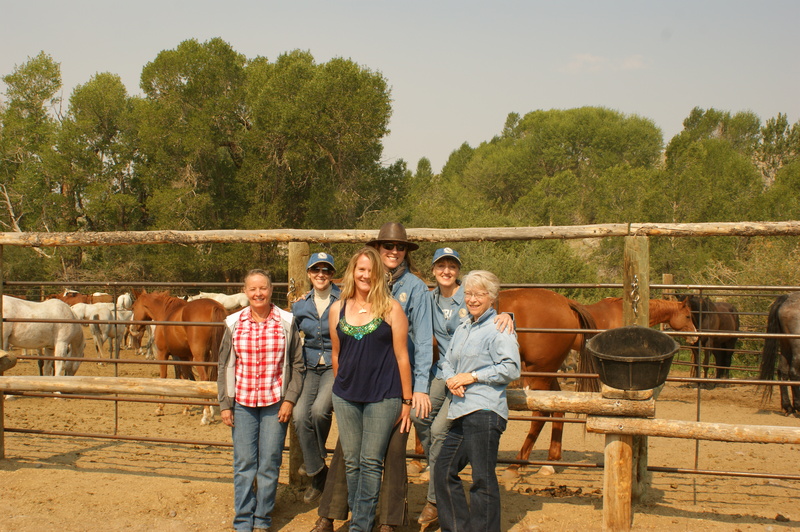 This week at the Healing For Horses Clinic with Anna Twinney at the Bitterroot Ranch as far exceeded my expectations. I have gained a stronger sense of self and a new way of being with horses. Thank you, Anna for sharing your passion! I will forever be grateful. To say that Anna’s teachings are profound is a cliche. What is striking is the depth of the information communicated non-verbally. My experience at Bitterroot and ROTH with anna was an amazing journey. Bitterroot was an oasis from my busy life on the East coast. With my background mainly in riding I am now very comfortable using Anna’s safe techniques around horses. I have the skills and confidence with groundwork I never had before. The Reiki with Anna and the other students was life shifting, we all experienced surprises and connections through the whole process.Thank you Anna and Bitterroot! My ten days spent at the wonderful Bitterroot Ranch in Wyoming were beyond my expectations. Bayard, Mel and their family were gracious hosts and their staff attentive and helpful. Anna Twinney’s weeklong Reiki for Horses clinic gave me fascinating insights into the language of the horse. Anna is a gifted spiritual teacher and I feel our paths haver crossed for a reason. She has gained a disciple in me. I extend my gratitude to the beautiful horses and 4 leggeds who call this home. Thank you all for sharing a piece of paradise with me.